It’s right about this time where get the itch for some warm sunshine. Utah is fickle in the sense that for the next few months it will range from high sixties and blue skies, to blizzarding snow and everything in between. Gale force winds, hail, thunderstorms, fog, the whole spectrum will be experienced in any given week. Here’s our must haves to get us through the elemental roller coaster. 2. We couldn’t be more obsessed with Bugaboo’s Summer 2013 collection. The new colors “Sunny Gold” and “Jewel Blue” with those striped undersides couldn’t be cuter! and one more thing before you go! 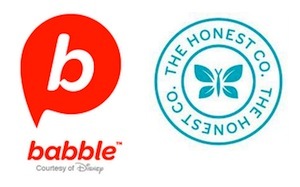 We also wanted to extend our gratitude first to Babble for naming Small Fry one of their Top 50 Best Craft Blogs, we’re really just thrilled to be among the other blogs they’ve named, it’s an awesome group and if you’re looking for good reads, check out the list here. And finally, to Honest Co. for naming us one of their Top 10 Instagrammers You Should Follow! Another line-up we couldn’t be more stoked to be in company with. Follow us on Instagram @smallfryblog. omg! 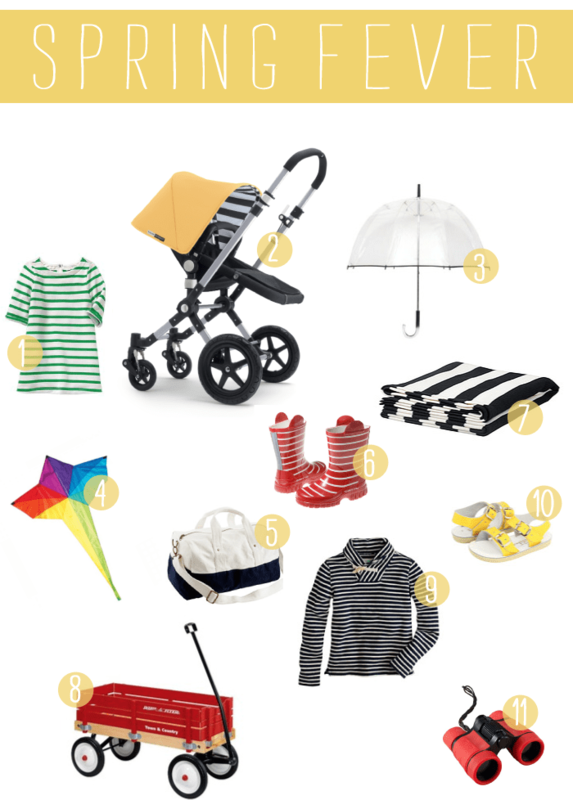 love that stroller with the pop of stripes! That striped dress is SO cute! Wish it came in my size. need those saltwater sandals! the yellow is so cheery! Oh my gosh the throw! And umbrella! Wish this was another giveaway!! That stroller is so awesome!! what a great list ladies! i want it all.